Recently, one of my readers Animesh Mitra wanted to know “How to use Affiliate Coupons plugin?” So, this post will be a complete guide to use affiliate coupons plugin. Before going on with the tutorial, I want to let you know few specialties of this plugin. There are few coupon plugins at WordPress.org , but however Affiliate Coupons is the best free coupon plugin available right now. If you just make a google search for Coupon themes, you will realize that there is no free coupon theme available. All the coupon themes available are premium ones. The reason behind is that, any blogger who uses coupon theme will display coupons on his site and when someone clicks these coupons with affiliate links and makes purchase, the blogger is going to make money out of it. So, no one is interested in giving a huge money earning opportunity for free. And, that’s the reason we have only premium coupon themes. 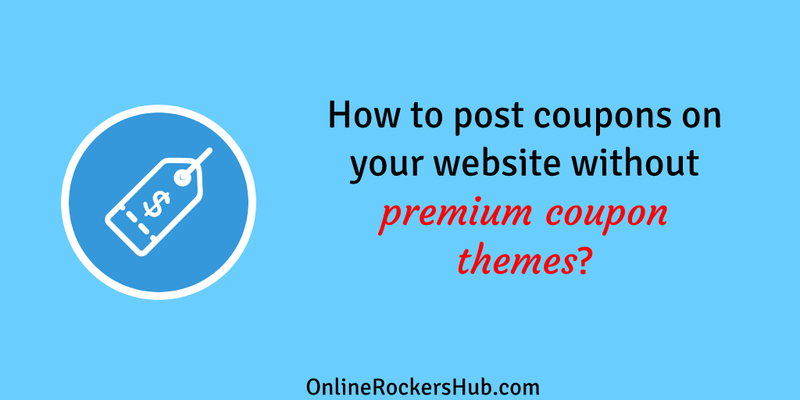 Is that means you can’t post coupons without premium themes on your site? You can post coupons without premium themes and Affiliate Coupons plugin will let you do that work. So, how to use this affiliate coupons plugin? Well, I will explain you step by step. Once you install this plugin, activate this. Under this menu, you have few submenus too. In your sidebar under “Affiliate Coupons” menu choose “ Settings”. I will explain each option one by one. Sorting Order: When you create a number of coupons, you need to specify, whether your coupons should be displayed in ascending order or descending order depending on the condition. Sorting Order by: Using this drop-down you can specify the condition, for sorting your coupons. You can sort your coupons depending upon the date when you publish your coupon, your coupon title, your coupon description, Coupon validity date etc. Choose the one you want. Grid size: If you have set template to be Grid, you need to specify the number of coupons you want to display for a row. By default, it is set to 3. You can change this according to your theme. Button Text: This is the Call to Action (CTA) button text for your coupons. Just write an attractive text so that your reader clicks the button. Button icon: You can choose to display icons like the shopping cart, Hand right or Gavel. If you don’t want to display an icon, just turn this off by setting it to none. Custom CSS textbox: This is where you need to enter your CSS code. This is optional. Save Changes: Don’t forget to click “Save changes”, so that the changes you made will take effect. Now, you have made the settings for your affiliate coupons plugin to function. Next, is filtering out coupons. This plugin offers three ways for filtering out coupons. I will explain all those three. Note: Even, If you are going to filter coupons by the other two methods, I will suggest you to create Vendors. This will be handy. How to create Vendors in affiliate Coupons plugin? Under Affiliate Coupons sidebar menu, choose Vendors. Now, a new page for creating vendors will be opened. Vendor Title: Enter the name of your Vendor here. Vendor Image: You can choose the image to display for this Vendor. I will suggest you to use the eCommerce store’s logo. Also, choosing Vendor image is like a backup. If you don’t choose an image for your coupon, automatically your Vendor image will be used. Vendor URL: Enter the eCommerce store’s URL here. If you are an affiliate of the eCommerce store, then use your affiliate link. Just like, Vendor Image is also going to act as a backup.Again, this will reduce the work of inserting Coupon URL for each and every coupon. Vendor Description: Explain about your Vendor in one or two lines. Don’t make it longer because this Description will be used only when you don’t write any description for your Coupon. You can categorize your coupons. 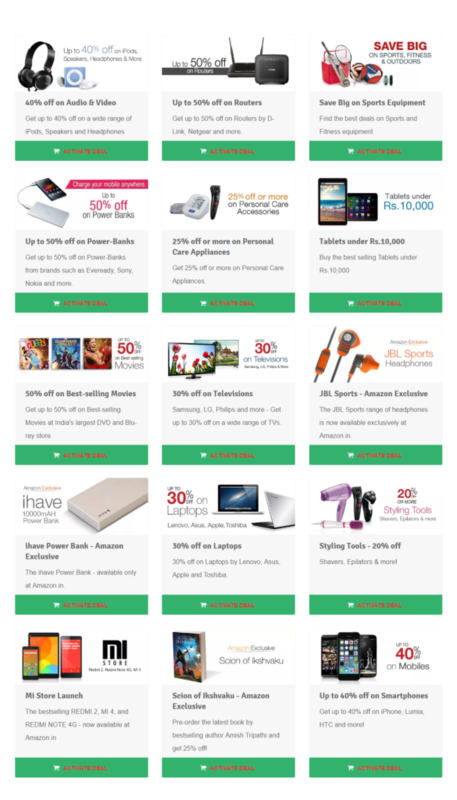 If you are posting coupons for Amazon you can have categories like Fashion, Jewellery, Electronics, Smartphones, etc. You can create a new category under Affiliate Coupons -> Categories. 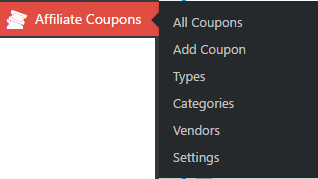 You can also create categories directly while creating coupons. Types is just similar to the tags that you use in the normal post. Just like categories, you can create types while creating coupons. You can also create types under Affiliate Coupons -> Types. Now, I have told you that there are 3 methods to filter. But before implementing these filters, we need to create coupons. So, I will tell you how to create coupons. Under Affiliate Coupons, choose Add Coupon. Here is the page to create Coupon. I have numbered the steps for easy understanding. Let me go one by one. Coupon Title: Here you can enter the title of your coupon. Since, we are very much considered with SEO nowadays, I wish to explain this in terms of SEO too. This title has nothing to do with SEO. It is only for internal reference. Vendor: Here, you will have to choose the Vendor, which we created in the earlier part of this post. Image: You can click Add Media button and select a new image. If you don’t select an image, then the Vendor’s image will be automatically used, provided you have set an image for the Vendor. Discount: This acts like a featured text for your discount. This will appear at the top of the image. Discount Code: Enter the Coupon code for your Coupon here. If you are posting deals that don’t have any promo code, just leave this blank. Valid from: You can use this option to set the date when the coupon became active. However, this isn’t mandatory. Valid until: Most coupons will have an expiry date. Enter the expiry date here. If your coupons/deals have lifetime validity, leave this blank. This option comes handy when you want to hide expired Coupons and deals from your audience. URL: You can enter your affiliate link for the deal. If your leave this field empty, the vendor link will automatically be used. This can save your time. Title: This is the title that will be displayed in the coupon. If you leave this empty, vendor title will be used. Description: You can use this to enter the terms and condition for the deal if you have any. Leaving this empty, the plugin will use vendor description. Select Categories: Just like types, you can create and select Categories here. Publish: Click the publish button, so that the Coupon becomes active. Now, you have successfully created a coupon. You can repeat the process of Creating coupons. The next step is to display coupons. Go to the post or page and enter the Shortcodes for displaying coupons. [affcoups id=”123”] – To display a single coupon. Replace the number with your coupon id. [affcoups hide_expired=”true”] – This shortcode is used to hide expired Coupons, when you display all coupons. [affcoups hide_expired=”false”] – To display all coupons, even when they are expired. [affcoups order=”asc”] – To display all coupons in ascending order. [affcoups orderby=”date”] – To sort and display all coupons based on their date. [affcoups orderby=”discount”] – To sort and display all coupons based on discount. 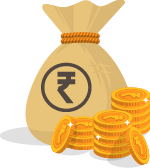 [affcoups orderby=”valid_from”] – This shortcode will let you sort and display all coupons based on coupon valid from date. [affcoups orderby=”valid_to”] – This shortcode will let you sort and display all coupons based on Coupons valid until date. Apart from the shortcodes mentioned above, this plugin allows you to perform advanced operations. You can combine multiple conditions for shortcodes. It’s not possible for me to display all possible combinations. So, I will give you few examples which will help you understand how this works. [affcoups category=”123” hide_expired=”true”] – This shortcode will let you display all coupons with ID 123 and it will automatically hide expired coupons. [affcoups type=”ABC” orderby=”date” order=”desc”] – This shortcode will let you display coupons from type named ABC. These coupons will be sorted based on the date the coupon was published. I chose desc, so that the last published coupon will appear first. These are just a few examples. By combining shortcodes you can display coupons matching various conditions. I have posted some coupons using this plugin. Here is a screenshot of it. I hope, you would have now understood how to display coupons on your website without using any premium themes. Do you want me to write a blog post on a particular topic? If you want me to write a blog post on any particular topic, just like this post, let me know in the comments section. Thanks for sharing another very useful post. Definitely it would be helpful for every newbies. I feel happy to see a genuine blogger’s comment in my site ?. Keep going ahead bro! Just came to know about this post from Twitter. Indeed a great plugin to create visual appealing deals & coupons combined with this guide. Hopefully it’ll work with my blogging based blog to create such deals within posts?? Happy to hear that this guide will help you ? ?.